If you're interested in making cloth diapers, congratulations! 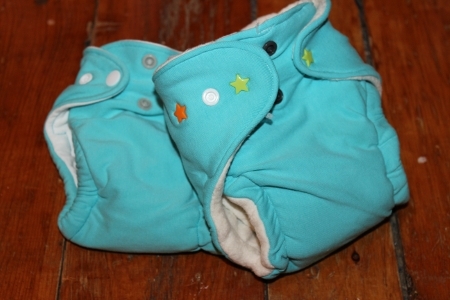 Making your own cloth diapers can save you money, and allow you to customize your diapers for the perfect fit. Every cloth diaper brand out there today was started when a mom designed a better cloth diaper, and others started to ask for it! 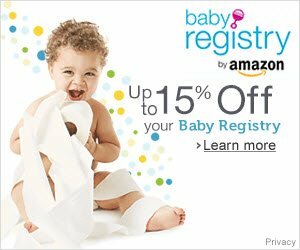 Whether your objective is to save a few dollars, or to start a cloth diaper business, everyone starts out somewhere! I hope you will find the following information on making cloth diapers helpful as you get started. 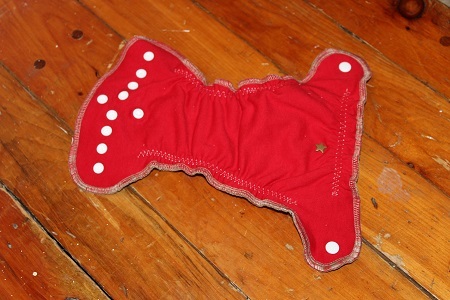 There are lots of websites dedicated to those interested in making cloth diapers. 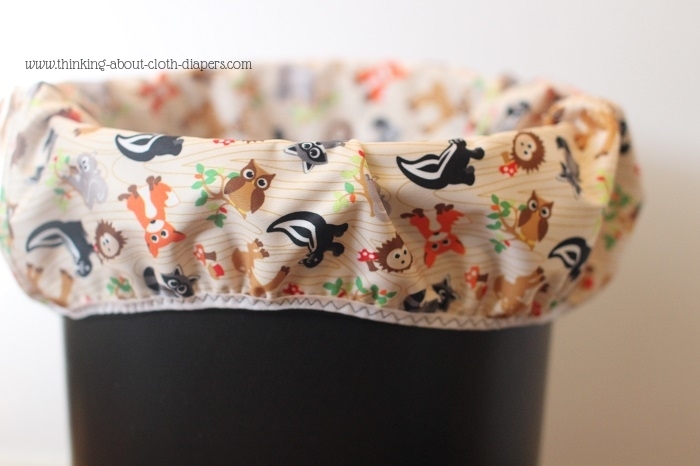 Cloth Diaper Makers and the Yahoo Baby Diaper Sewing Group are both great resources. 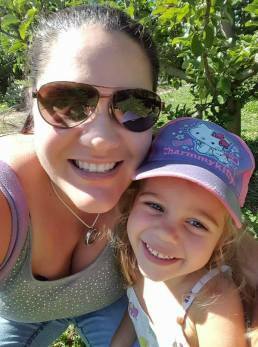 You can ask questions and chat with other moms about fabric and patterns. Please note: I have tested a number of free diaper patterns. If you know of another great pattern, please let me know so I can share it with others. 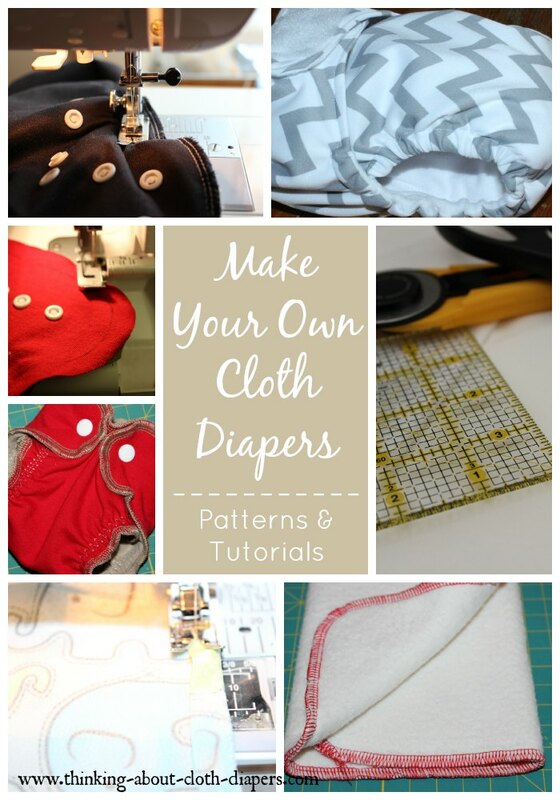 Interested in sewing your own cloth diapers? We have a tutorial full of photos to show you how to make a turned-and-topstitched newborn fitted or all-in-one diaper, from start until finish. Do you have a serger? 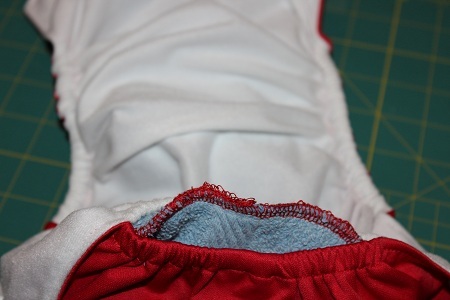 This tutorial is full of photos to show you how to make a newborn diaper using your serger and sewing machine. Includes pattern suggestions and fabric selection tips as well. Prefolds are workhorses in the cloth diaper world. Made of high quality cotton, they are absorbent and reliable diapers. But if you've ever tried to secure a prefold to a wiggly baby, you'll know that they are sometimes a challenge to use. 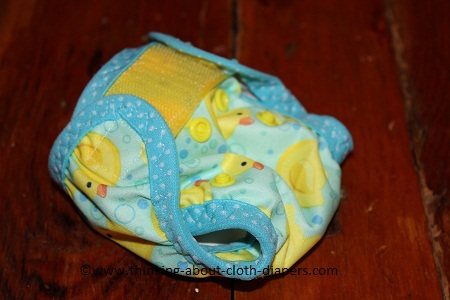 This photo tutorial, which we wrote as a guest post on Adventures in Fluff, shows you how to turn a prefold into a fitted diaper. Our newborn cover tutorial is full of photos to show you how to sew a diaper cover, with double gussets, using fold over elastic. Best of all, it uses a pattern that is available for free! We've tested out lots of cloth potty training pants, and the ones made with the Sanity Saving Training Pants pattern are some of our absolute favorites! In this article, we showcase a trainer made using this pattern, and share more details about why this pattern gets high grades from us. 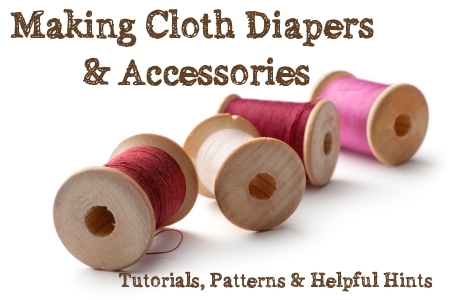 If you have no idea how to make a diaper pattern yourself, you may want to think about using a pattern that has already been tested and perfected by other parents. There are lots of great free patterns available online. You may also want to consider buying a pattern, since the creators usually provide more detailed cutting and sewing instructions plus tips on selecting fabric - and support if you have more questions! It can be hard to find a perfect pattern to fit your baby. If you are testing out a pattern for the first time, you may want to consider making it out of scraps of fabric or inexpensive material. This way you can test and make minor modifications to your cloth diaper pattern without ruining your expensive cloth diaper fabrics. If you've ever thought about sewing cloth diapers, and then tried to follow along with an on-line tutorial and gave up, this e-book is for you! No longer will you need to go on a treasure-hunt around the internet for resources. Packed with tips and clear photos, this book outlines how to make all-in-one one-size fits most diapers in a friendly, easy-to-follow narrative. Are you interested in making cloth diaper inserts? Then this article is a must-read! It includes information about fabric choices for absorbent materials, plus sewing tips, instructions, and cloth insert dimensions. There are lots of ways to make cloth diaper inserts using fabrics you already have around your home. Read on for more help on how to make inserts, prefolds, and flats from old bedding, towels, and more! Want to make your own diaper bag? 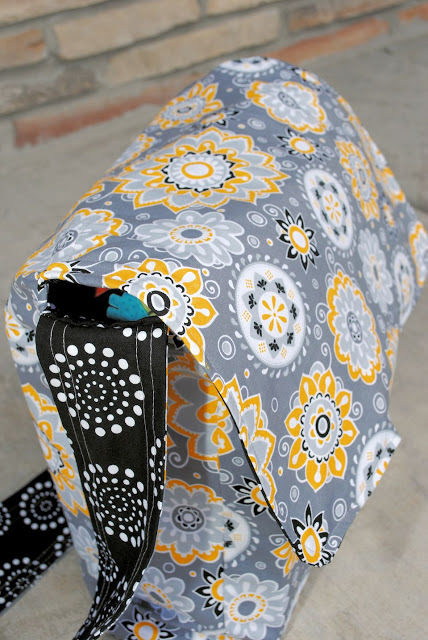 Our huge list of free diaper bag patterns and tutorials offers something for everyone! Get started today! Wet bags are an essential cloth diaper accessory, perfect for carrying wet diapers when traveling. You can make a lined zippered wet bag in about an hour if you or someone you know owns a sewing machine. This is a great way to save money, because you can buy the material to make several for less than it costs to buy one medium sized wet bag. These make great gifts, too! Perfect for beginner sewers or anyone who wants to make a wet bag or two during your little one's nap, this tutorial is an even simpler version of a wet bag. You'll need a piece of PUL, a zipper, and no more than 20 minutes to create a great little bag to carry your wet diapers around! 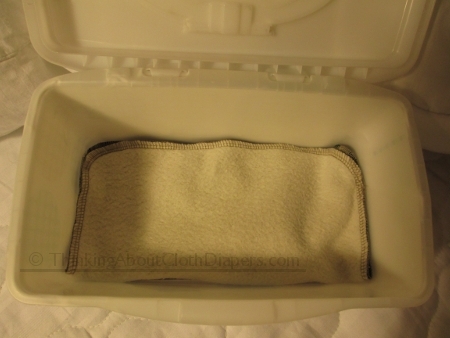 Diaper pail liners are used to store cloth diapers until laundry day. Save money by making your own. In this tutorial, we've got lots of photos, dimensions, and instructions to help you sew a storage bag for your baby's cloth diapers. Wondering how to make wool dryer balls? Our photo tutorial shows you how easy it is to make this eco-friendly alternative to fabric softener and dryer sheets. They're perfect for making cloth diapers soft and fluffy, but will help to reduce static and drying times in all of your laundry loads, saving you time and money. Best of all, they are so easy to make, you'll be turning out sets of them in no time at all! This photo tutorial gives you step-by-step instructions to make cloth wipes that are just the right size to fit in a regular wipes container or wipes warmer - using either a sewing machine or serger. Save money, eliminate chemicals, and reduce waste with this quick and easy project. A couple hours of sewing could save you a few hundred dollars in wipes over the course of your baby's time in diapers, so if you know how to sew, you can save yourself a lot of money! 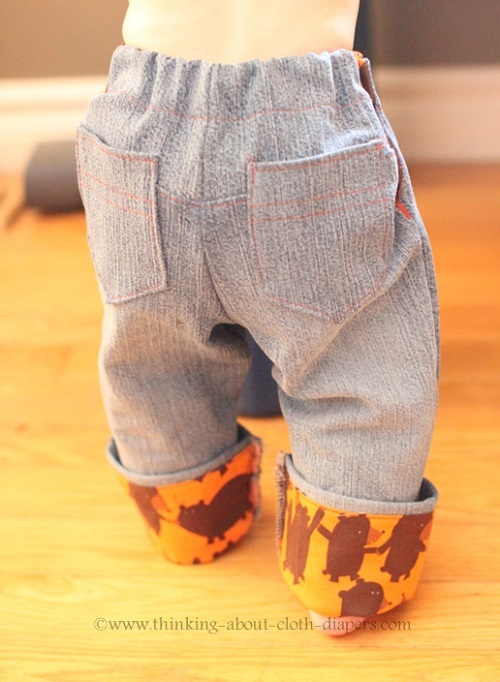 Struggling to squish your baby's fluffy bum into their jeans? Here's a pattern for you! In this post, we share a sample pair of baby jeans we made using a paid pattern from the Etsy shop Stitch Upon a Time. You can find out our thoughts on this pattern and also see how it sews up! Looking for a creative baby shower gift idea for a cloth-diapering mom? Using prefolds and a snappy, you can throw together a show-stopping centerpiece for and upcoming baby shower or diaper party, following our simple photo tutorial. Some local bricks and mortar fabric stores are starting to carry cloth diaper fabrics, but the most popular place to buy the specialty fabrics is through on-line fabric retailers. 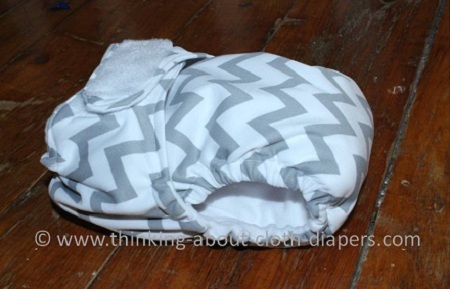 If you're looking into making cloth diapers and you're just learning about cloth diaper fabrics, you may want to check out this article on Zany-Zebra. They don't sell cloth diaper fabrics, but they offer a great introduction to the materials used in cloth diaper construction. While you can search for the best price on each fabric, most sites do charge shipping. It can be less expensive in the long run to purchase all of your materials from a single website. Some websites also offer reduced prices for larger fabric orders. If you know some other moms who are also interested in sewing, think about combining orders to qualify for these discounts and save on shipping costs. Of course, you may be able to recycle absorbent fabrics you already have into your cloth diapers. 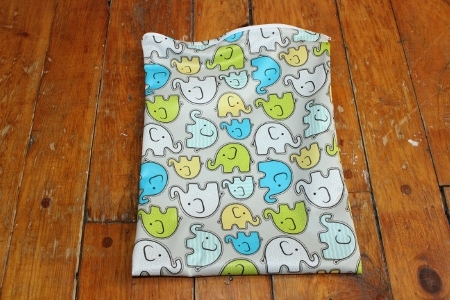 You can find patterns to turn a pre-fold into a fitted diaper, or to convert an old t-shirt into a diaper. Think about old towels, cotton blankets, or other materials you may already have around your house - the key is to make sure they are absorbent! Keep in mind that most of these fabrics will not be waterproof on their own, so you will need to make or purchase a cover or wrap made with a laminated material or wool. Babyville Boutique makes high quality cloth diaper fabrics and exclusive coordinates, including tags, appliques, fold-over elastic, hook and loop tape, patterns, idea books, and more! Read on for more information about their product line. 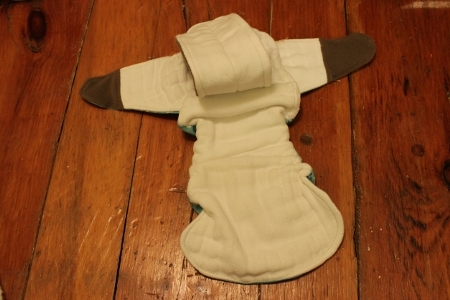 Bamboo fleece and other bamboo fabrics are popular options in cloth diapers. Its characteristics make it appealing for cloth diapers, but many people would be surprised to discover that bamboo is a synthetic, not a natural fabric. I prefer diapers with snaps, but snaps require specialized equipment. If you plan to use snaps, you will need a snap press or snap pliers. You can buy your own, or you can sometimes find another mom who will charge you per snap to set them into your fabric before you start. 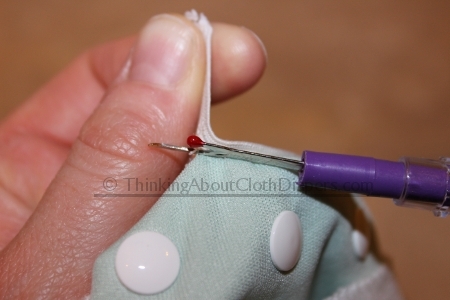 Snappis and diaper pins work well for fitted diapers, and require no extra sewing. Velcro, and similar fasteners called aplix and touch tape, are the easiest fasteners to sew with. They don't always hold up as well as snaps do in the washer, but they don't require specialized equipment. 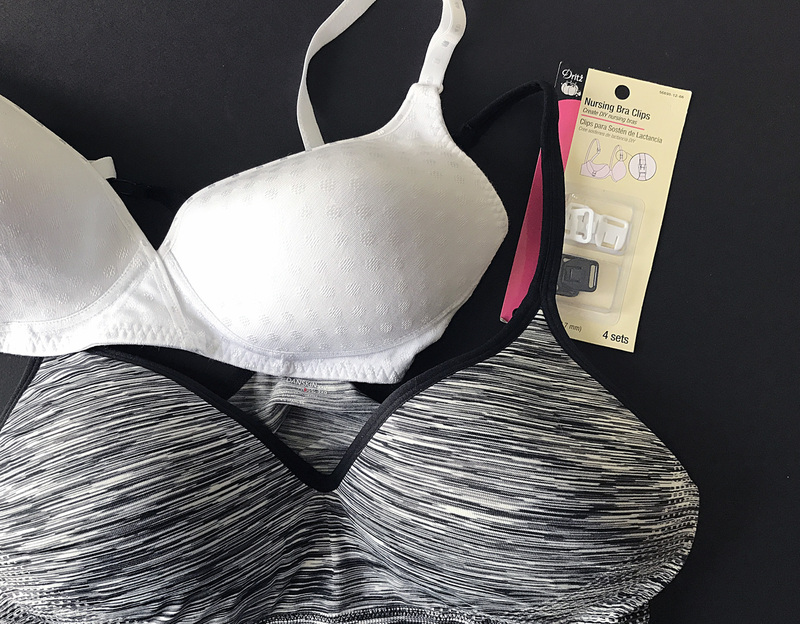 If you want to save money and not have to buy expensive nursing bras, we’ve got a tutorial that will show you how to convert your regular bra into a nursing bra quickly and easily. You don’t even need a sewing machine!